13 miles: Rest stop, The Donut Palace, Buna, TX. 35 miles to go. 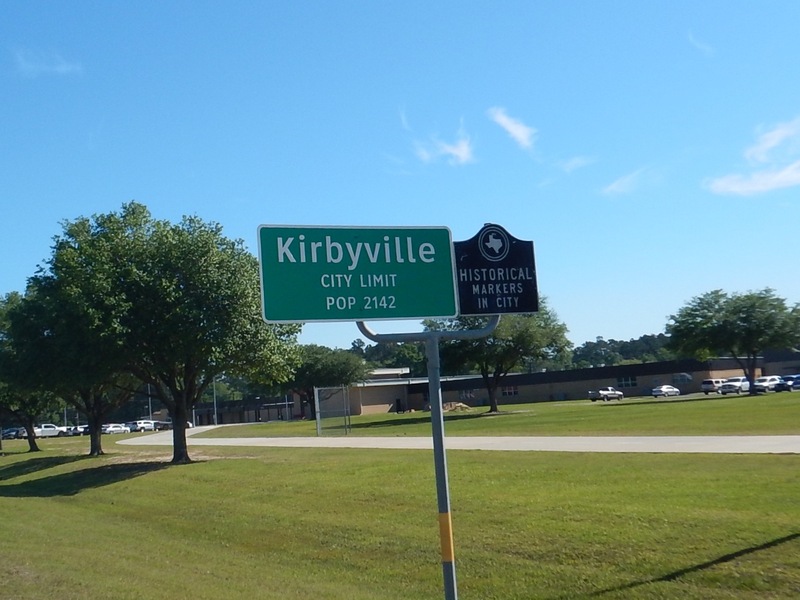 28 miles: Arrive Kirbyville, TX. 20 miles to go. 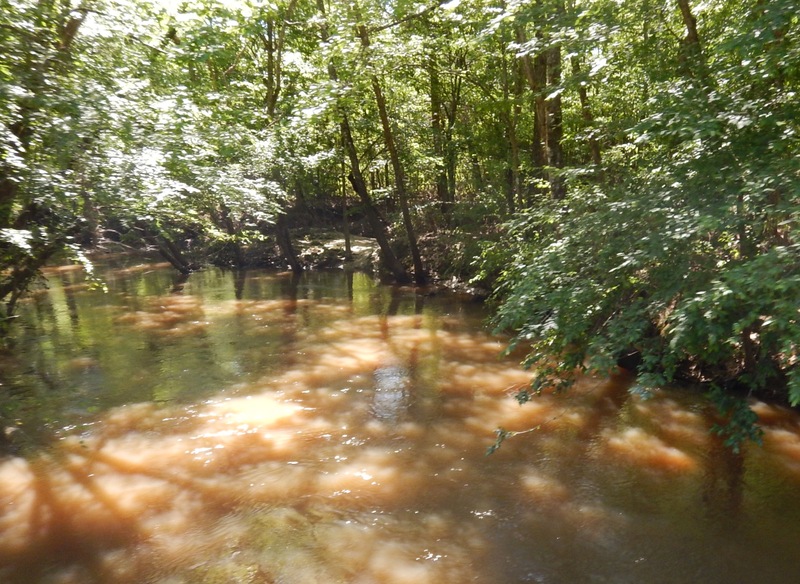 35 miles: Cross Cow Creek. 13 miles to go. 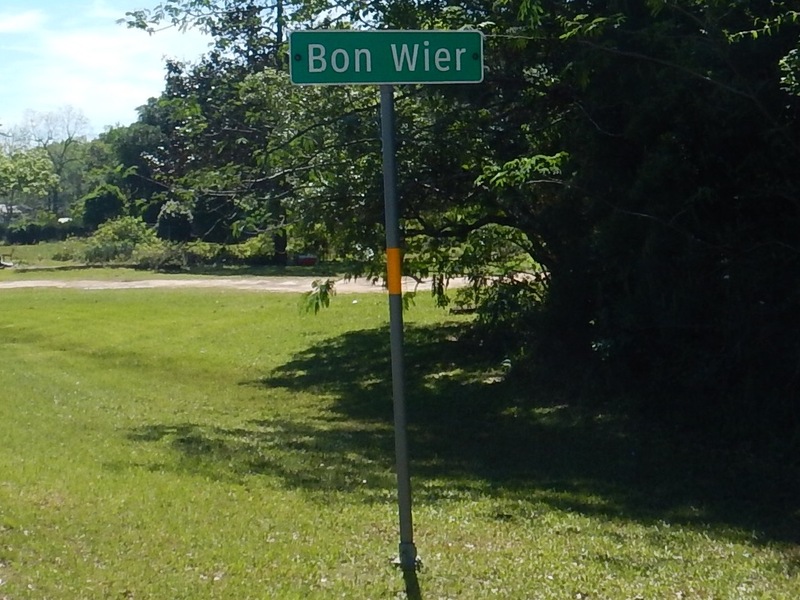 46 miles: Enter Bon Wier, our last Texas town. 2 miles left. 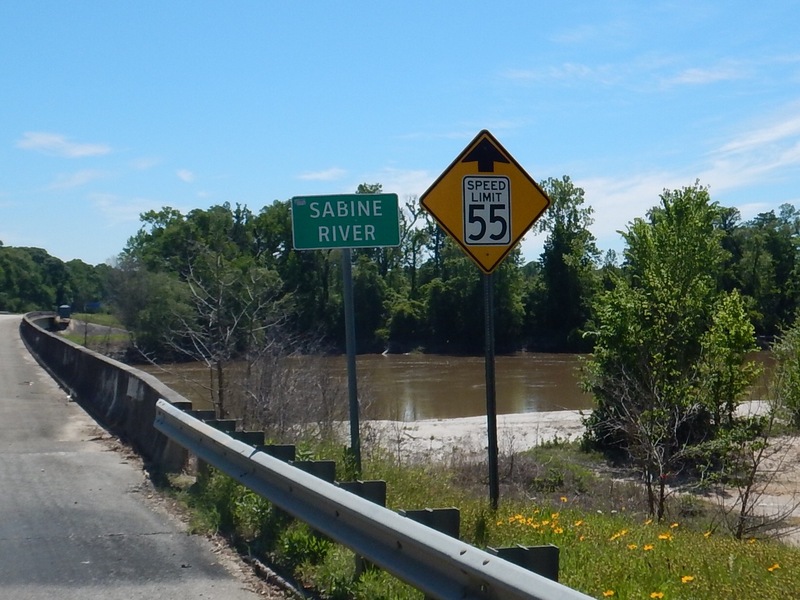 48 miles: Cross Sabine River. Almost there. 48.5 miles: The money shot! Welcome to Louisiana. 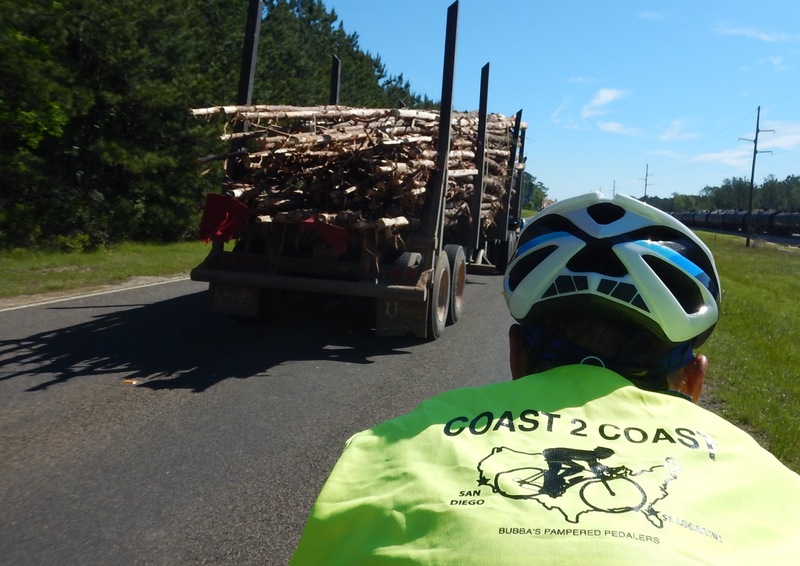 This area is home to logging trucks. They must grow them next to the pine trees they carry. 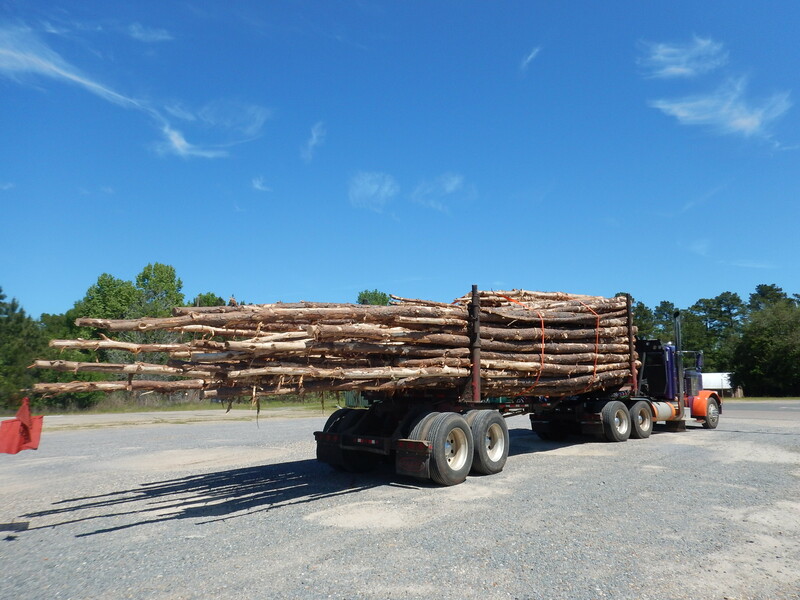 At lunch, we learn all about logging and what they do with the trees. There are 20 paper/mulch/plywood/box/you get the picture plants within a 50-mile radius of where we are. That’s why we see so many trucks today. 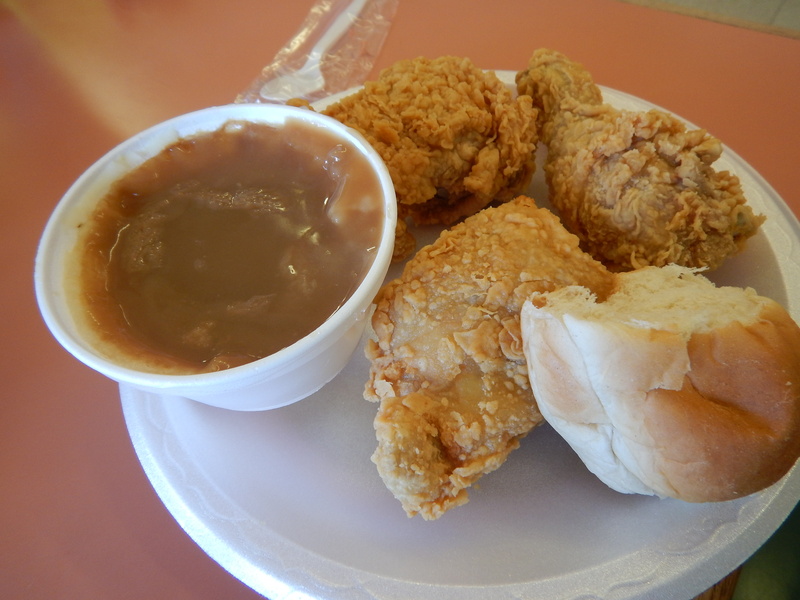 The fried chicken at Fausto’s is hot, fresh and very tasty. Not a vegetable in sight. Our reward at the end of the ride? Dairy Queen! Mini-Blizzards have 400 calories, and we only eat them after long rides. 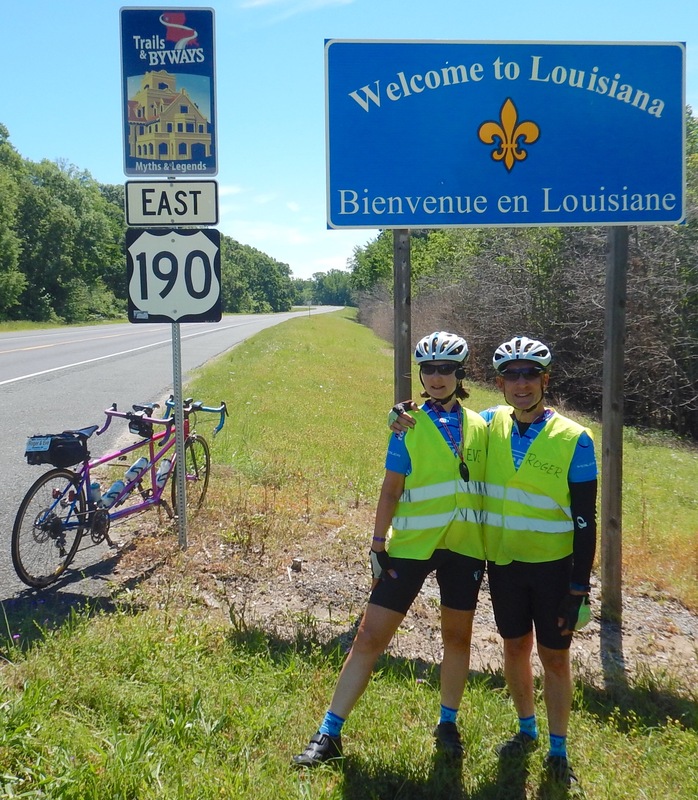 Tomorrow: a Cajun-filled 91 miles. At least it’s flat. Do you guyz know how to fuel or what? Donuts. Fried chicken. Ice cream. Keepin’ it simple! -1- Your Texas friends will miss you. -2- Usually you can get Mac & Cheese with that fried chicken dinner. In these parts, they consider Mac & Cheese a vegetable. I am not saying it is right. 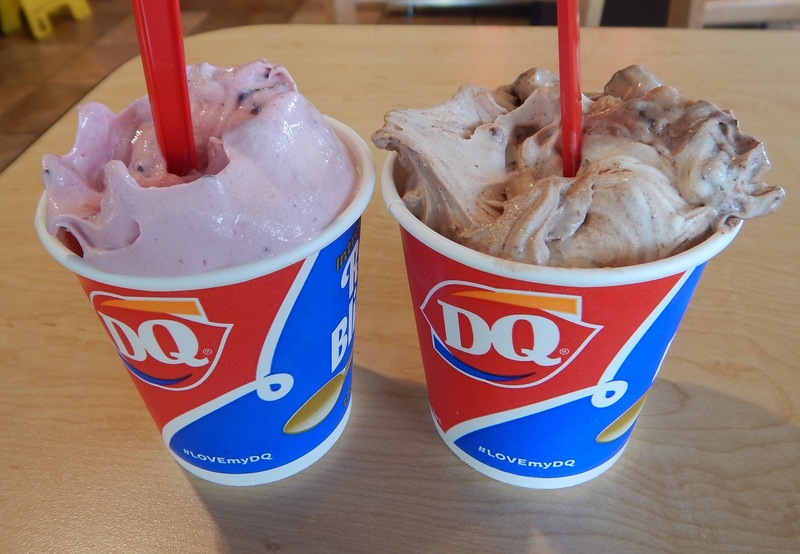 -3- Do you expect your DQ habit to extend past the duration of the trip? 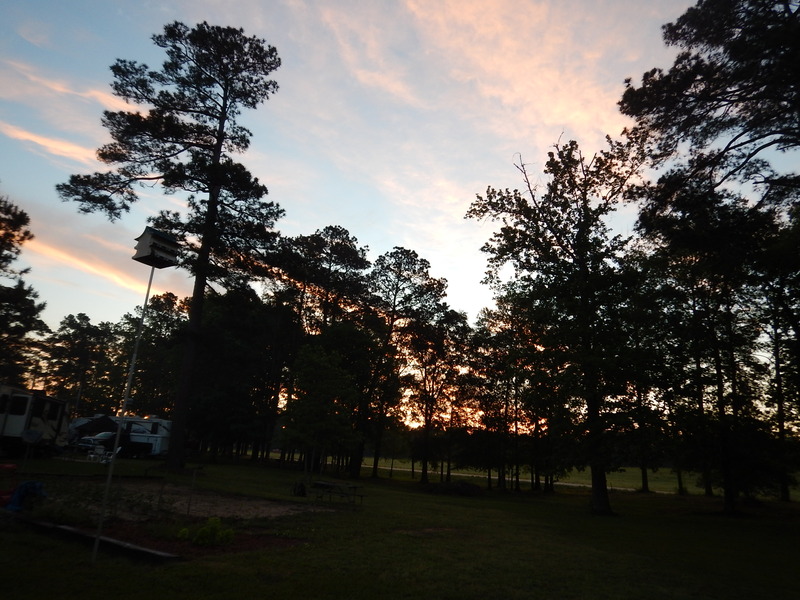 -4- Do you need some dinning suggestions for Louisiana? Crawfish (also known locally as “bugs”), Oysters (raw, Rockefeller) and Redfish. Whoa. I’m trying to remember if I’ve ever had fried chicken for breakfast. I’m trying to think of when I can next ride enough miles to do so. Looks good! Buh-bye Texas. Great job! Great blog.